JWT’s multi disciplinary digital agency dotJWT has won the Award for Excellence in the Management of Technology, competing with the likes of FNB, Altech, Bell Equipment and others. 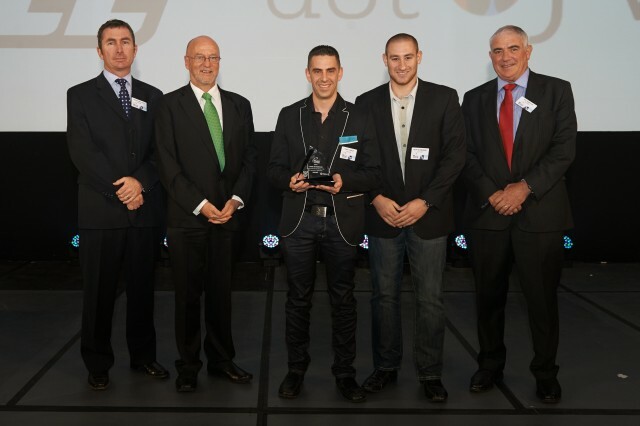 The award was presented by the minister of science and technology Derek Hanekom after dotJWT was named victorious. The initial selection process required all companies wanting to compete to submit an in-depth questionnaire and go through a screening process. Following the screening process companies attended a two hour adjudication panel where it demonstrated each of the attributes and requirements of the TT100 before a panel of judges. This was then followed up with an in-depth Q&A before finalists attend a further adjudication panel under the auspices of the department of science and technology where the winners are decided. dotJWT were awarded its Excellence in Management of Technology accolade following its success in the processes which are deployed to develop, implement and monitor technology strategy. “A winning company devotes attention to the technology life cycle ensuring that they have a healthy mix of Emerging, Pacing, Key and Base Technologies,” says Yoav. The Technology Top 100’s website states The TT100 Business Awards Programme was, with the support from various partners including Eskom, the JSE and government launched in 1991 by the South African Engineering Association (SAVI). The programme is unashamedly an effort to draw attention to the importance of developing a local culture of technological innovation and excellence. Since 1994, TT100 has enjoyed strong endorsement by the Department of Science & Technology (DST) as the major government sponsor. Digital specialist dotJWT has undertaken a proactive research project focusing on South African consumer views on Facebook following the social networking site’s controversial rollout of a new Timeline format. The dotJWT funded study saw the local agency working with an overseas research company that conducted research across a range of socio economic groupings. Executive Digital Director Yoav Tchelet says; “In light of the big changes at Facebook we’ve obviously seen a fall off in terms of consumer engagement across a range of brands so the study has focused on how it has affected the Facebook environment at a broader level. “Through the research we wanted to know what do South African’s aged between 18 and 40 think of the new Timeline format. How it’s affecting brands’ presence on Facebook and how they should be attracting new fans and engaging with existing ones within the new timeline framework. Interestingly, 52% of those polled said they preferred the old format while 48% said they have adapted to the new format. The study also found that 52% of men and 45% of women polled are comfortable with the changes. In addition, 77% of those polled said brands need to actively reward and recognise their fans more on Facebook. Other interesting insights showed reasons why users become brand fans and the percentage of those that follow more than ten brands, as opposed to those following less than ten brands on the social network. “Sixty one per cent of brand fans demand special offers and regular fan-only content, while 20% say they follow brands based on brand loyalty and 19% state they follow brands to either praise or complain since they view Facebook as a customer service outlet. dotJWT is a specialist, full service interactive digital advertising agency. Leveraging the global dotJWT digital network and fully integrated within JWT, one of the world's leading advertising agencies. © 2014 dotJWT. All Rights Reserved.